Robert Fuggi is certified by the Supreme Court of New Jersey as a Certified Civil Trial Attorney and also a practicing trial attorney, because of his significant amount of jury trials, complex litigation and substantial time in court with successful results. Robert Fuggi was selected to the National Trial Lawyers Top 100 Trial Lawyers in 2012, 2013, 2014, 2015, 2016, 2017 and 2018. Robert Fuggi was born in New Haven, Connecticut. He relocated to Toms River, New Jersey, in the early 1970's and attended Toms River High School South and graduated from Toms River High School East. He then went on to Saint Joseph's University in Philadelphia, where he studied politics and pre-law, then went to Regent University School of Law, Virginia Beach, Virginia, where he received his Juris Doctorate of Law with a foundation in Biblical Studies in 1992. Mr. Fuggi studied under the direction of the founder of CBN, the 700 Club and later Regent University, Rev. Dr. Pat Robertson, Gordon Robertson, and Dr. Herbert W. Titus, Harvard Law School and famed Constitutional Attorney and the founding Dean of the College of Law and Government at Regent University. Robert was elected Vice-President of the Student Bar Association by his peers at Regent University School of Law. Robert Fuggi was successful in handling hundreds of contested matters that consisted of civil trials, criminal trials, wrongful death cases, workers' compensation, homicide cases, and criminal defense trials. After several successful years and litigated cases, Robert Fuggi founded what is now called the Fuggi Law Firm which is located in Toms River, New Jersey in 1997. Robert has pioneered in the area of New Jersey clergy sexual abuse cases, working successfully for victims of sexual abuse and continues in that area of specialty. Robert Fuggi has been featured numerous times on the front pages of national and local newspapers for high profile cases; N.Y. times, Washington Post, Asbury Park Press, The Trentonian, Observer-Reporter, Atlantic City Press and the Star-Ledger newspapers. 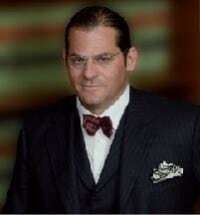 He has also been featured on the CBS, NBC and News 12 New Jersey Networks for the cases he handles. He also represented one of the 44 defendants, a former New Jersey Assemblyman, in "Operation Bid Rig" New Jersey's largest political corruption case in the Federal Court of New Jersey. He has also handled many of the high-profile clergy sexual abuse cases that have been featured in the press and on TV, one special report was up for an Emmy. Robert Fuggi is currently pursuing a PhD in Theological Studies at Regent University, School of Divinity in Virginia Beach. He is a graduate of Princeton Theological Seminary where he obtained a Masters of Divinity and a Th.M., an advanced Master's Degree. Robert Fuggi is the founder of the School of Biblical Studies and Theological Inquiry, which started as a Princeton Field Study program at Princeton Theological Seminary (2014). This program teaches Theology and Biblical studies to laypersons and Ministers. He is the founding Pastor of Toms River Community Church and is an Ordained Minister, ordained October 31, 2005. Over the past 7 years, Robert Fuggi and his church volunteers have established one of the largest Community Homeless Outreaches in Ocean County. All those in need can receive food, clothing, medical care and spiritual support. Currently, Robert Fuggi actively serves as Pastor of Toms River Community Church where he preaches at Sunday Services and teaches a weekly Bible Study.